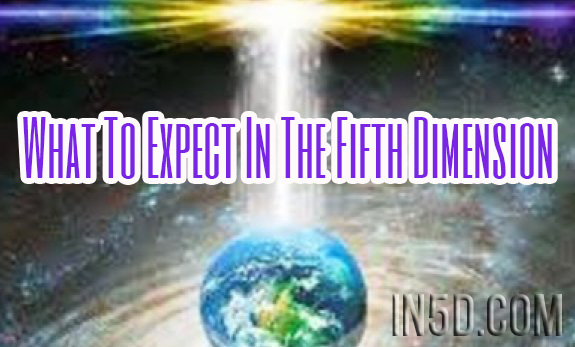 The ‘Fifth Dimension’ is a term often heard in some spiritual and New Age circles. What does it really mean? Is there really something to it? To help answer the question of what it really is, it is often best to ask to feel into it for yourself. Though basically, yes there is something to it. It is a level of consciousness that we begin to move into after Self Realization has occurred. I personally prefer to use the word ‘level’ or ‘plane’, rather than ‘dimension’ so that we don’t overly give our power away to a big sounding word, though each to their own. But also because quite simply that is what it feels like, a plane. Self Realization is the doorway into the fifth plane of consciousness. The movement into the fifth is another reason why Self Realization is so important. The doorway itself is the open heart. Self Realization is when an opening in the heart forms. The opening in the heart which forms during Self Realization is the key which unlocks countless mysteries. When one first experiences the fifth dimension it feels as though one is standing in the middle of the night sky. It is inky black, with softly glinting stars. There is also very much an awareness that there are all these beings there ready, waiting, and willing to help us in any way that they are able. Overall, there is a sense that one is not so anchored down into what feels like the ground, or earthly, plane. This perception of the ground is what we could call the ‘fourth dimension’. this is what constitutes day to day awareness. After experiencing the fifth, the fourth feels more dense, compacted and heavy. It is from the fifth level that the other levels of consciousness begin to open up and become more available for us. It is by journeying through the open heart, the incredible portal that it is, that we move into higher and more expansive states of being. All of these movements in consciousness take place naturally when old patterns, misunderstandings and general density leave us. There is nothing we need do other than give our soft attention to all the parts within that are calling for our presence. We can access beings of light and love whenever we need to. Simply ask. We need never do anything alone. The harder part is remembering to do so, and trusting that the Divine really is there for you. Something we all need reminding of no matter who we are and where we are at. About the author: Andrea has reached a stage of consciousness that some have called Self Realization. She has also moved beyond this stage and is now in Oneness.She experienced Self Realization exactly as described by the great sages Ramana Maharshi and Papaji. Internally, a fearful voice was heard crying “I’m dying, I’m dying…”. This voice was then sucked into a deep vortex. After a moment a white, lily-like flower appeared on the right-side of the chest, which lifted its head and bloomed. Self Realization is a very particular stage in the journey of awakening, and essentially means that the resting place of the being now resides within its natural home of the open heart. The more egoic-based self, which is focused only on survival for the sake of survival (the part that cried “I’m dying” and was then sucked away), is permanently reduced. Prior to this she experienced various other stages such as heart and crown chakra openings.After Self Realization, several more shifts in consciousness occurred as remaining density left. This process culminated with moving into Oneness.She continues to experience further shifts in consciousness, with an ever increasing expansion of, and lightening into, Oneness.Andrea can help you in the process of becoming One with All That Is, and help you to re-embody all that you are.